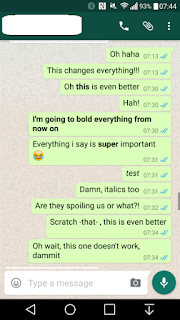 The next update of WhatsApp you should expect will be coming with support for Bold Italic Underline feature. 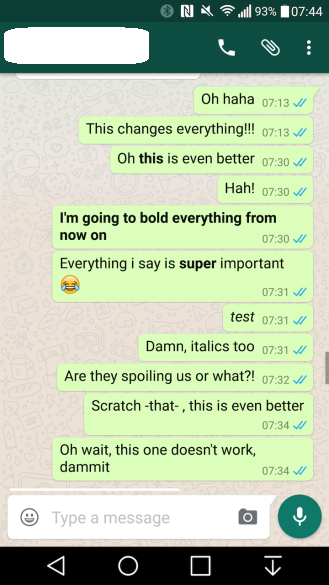 To write in italics, you need to add underscores before and after your text. For example, _italics_ automatically becomes italics. To write in bold as well, asterisks are required before and after your text. Writing *bold* becomes bold. You can as well combine both. I guess you’ll like to have a feel of what the new update looks like hence, I’ll advice you to join the beta tester program here.